Perhaps your best friend who lives in another state just gave birth to a brand new baby, and you want to show her you're there for her. Or you are bringing a new mom a meal and want to add a little something "extra" to help her along in those first few weeks. Maybe your sister-in-law is in the hospital with a new precious bundle, you're stopping by to say hi, and want to bring her a gift. Or you're attending a baby shower next month, and you're looking to put together a present that is thoughtful and unexpected. Who knows? You might be a postpartum mom yourself, looking for ways to treat yo' self! Whatever the scenario, we've compiled a list of helpful (and fun!) little ways to shower the postpartum mom in your life with love. If you don't know of any new moms, you can always save this list of ideas for the future. In those first few weeks after delivery, new moms are so busy taking care of their precious little bundles that they hardly have time to take care of themselves. 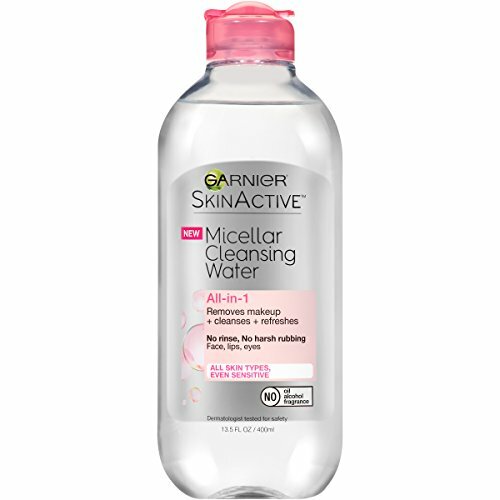 Micellar Cleansing Water solves this problem by making face-washing a breeze. This glorious liquid contains micellar beads, which lift off oil and dirt from the skin -- no rinsing required! Simply squirt some of the cleansing water on a cotton round, gently swipe all over you face, and voila! clean fresh skin. This might not be an option for everyone, but if there is a coffee shop (or bakery) near by, a gift card can be a lovely little way to encourage the new mom on her path to recovery. Once she is up on her feet, it's good for her to get outside in the fresh air. Giving her an actual destination (coffee, bakery) where she doesn't have to linger long in public, or socialize if she doesn't want to, adds extra motivation to help her get moving. Although pampering gift cards (like a massage, spa, hair or nail salon) are often great gifts for moms, brand new moms often can't afford to be away from their baby that long, so it's a luxury they'll have to punt off enjoying until what seems at the moment to be the far distant future. New moms have to drink TONS of water. Help her get motivated by ditching the hospital jug in favor of something more stylish. You're looking for something that holds a good amount of water so she doesn't have to keep fill it up a million times a day. You're also looking for something she can easily open with one hand, since her other hand is probably busy holding a baby. This is sort of a no-brainer, but a list of things to give women in any state of life would basically have a black hole if it didn't include chocolate, flowers and wine. Oh yeah, and probably ice cream. Let's face it: new moms not only rarely find time to wash their hair, but when they do, it ends up coming out in depressing clumps. (Postpartum hair loss is real.) That's why dry shampoo can be such a life saver. 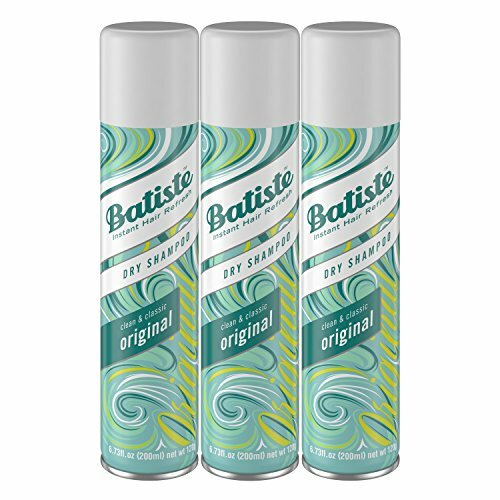 When spritzed near the scalp, dry shampoo absorbs oils, getting rid of the greasy shine. It also adds volume and texture. Dry shampoo with a little color (choose one close to your own) has the added benefit of giving the roots fullness, and masking some of the effects of postpartum hair loss. If you are comfortable picking out clothing for your postpartum friend/sister/daughter/etc., a fantastic wrap dress will become a wardrobe workhorse for her in the coming months. (Who are we kidding? Years!) I have two wraps from Maggie London and l.o.v.e. them. Haven't tried it myself, but I've heard good things about Pink Blush, which actually markets their wrap dresses as maternity & post (nursing) wear. In a similar way, the classic button-down pajama set is a great option for a new mom, who will probably spend a large portion of those first few months exclusively in comfort clothes. Why not help her feel beautiful while she's at it? If she's delivering in the winter months, opt for a long sleeves and pants option in a cozy fabric. If it's the summer time, something more light weight would do the trick. She can easily wear the bottoms with a nursing tank, and simply throw on the buttoned top when she wants more coverage (say, when visitors stop by). When it comes to fabric and feel, think luxurious. You want her to feel pampered and loved! There are so many more wonderful and fabulous ideas of things to bring the postpartum mom that we can't possibly cover them all. Hopefully, you found something you wouldn't have thought of in the list above. Or perhaps it got your creative juices flowing with further ideas. If you have any good ones, share them in the comments below!